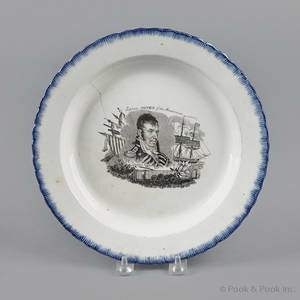 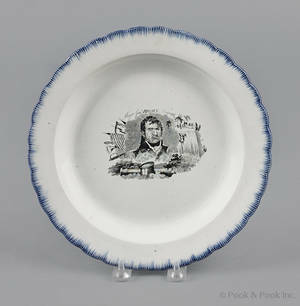 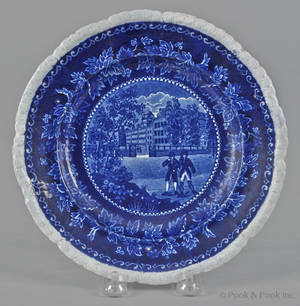 Historical blue Staffordshire Leeds blue feather edge plate, 19th c.
Historical blue Staffordshire Leeds blue feather edge plate, 19th c. , with Major Gen Brown Niagara , 10" dia. 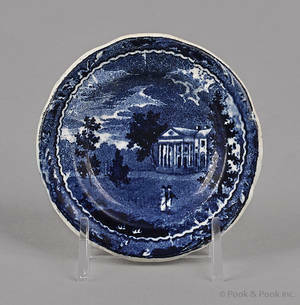 Provenance: Property sold with the approval of the trustees of the Philadelphia Museum of Art to benefit acquisition funds. 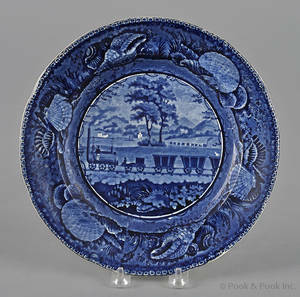 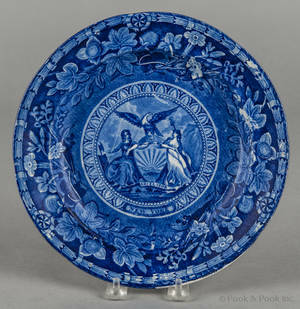 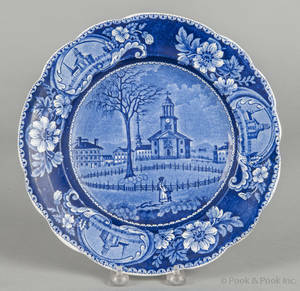 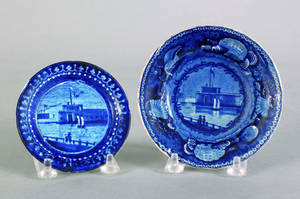 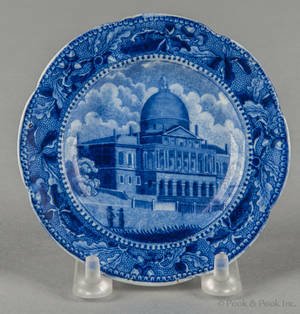 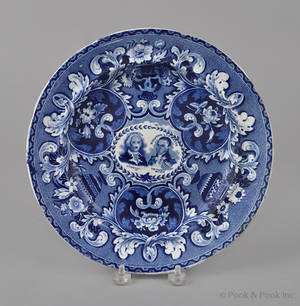 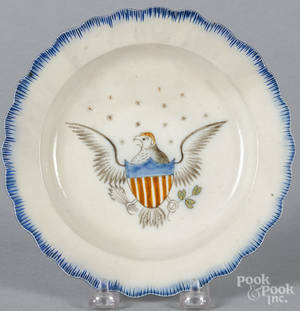 Archived auctions similar to Historical blue Staffordshire Leeds blue feather edge plate, 19th c.
Historical blue Staffordshire Columbia College, New York plate, 19th c.
Historical blue Staffordshire cup plate and toddy plate, 19th c.
Historical blue Staffordshire Washington and Lafayette medallion plate, 19th c.
Historical blue Staffordshire Baltimore and Ohio railroad plate, 19th c.
Historical blue Staffordshire Woodlands near Philadelphia cup plate, 19th c.
Historical blue Staffordshire State House, Boston cup plate, 19th c.
Historical blue Staffordshire Arms of New York plate, 19th c.
Historical blue Staffordshire Winter View, Pittsfield, Massachusetts plate, 19th c.